Hope your summer is going well. I'm on vacation this month with friends visiting us from Bolivia, so I haven't been writing so much. We ALL need breaks from time to time, no? Are you enjoying your summer? Are you spending quality time with your kids? Well, while you are enjoying family time, I want to be sure that you know about another awesome new bilingual album release, this time from our friend Nathalia Palis-McLaughlin. Cuando era pequeña (When I was Your Age) is fun way for children to learn concepts that they'll be learning in school and in life. 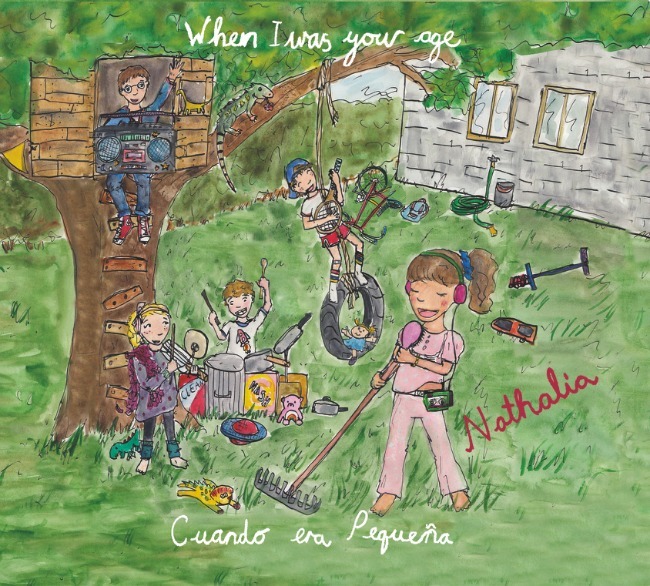 With her unmistakable voice, Nathalia will enchant your children with her lively songs. I love how the lyrics weave back and forth from English to Spanish effortlessly to give children a truly bilingual experience. Keep the bilingual learning going this summer with fun resources like this one that get your kids up, moving and singing in two languages!